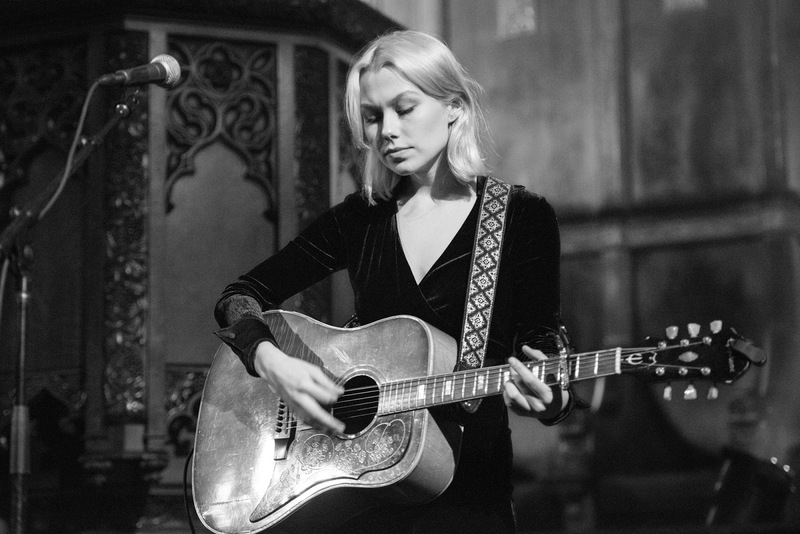 Phoebe Bridgers released her debut album, Stranger in the Alps, last year and it came in at my #8 album of 2017. However, I have listened to that album more than anything over the last month. 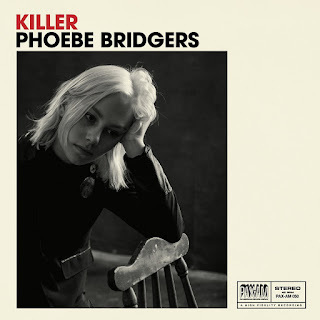 Yesterday I went down a rabbit hole of musical discovery in an attempt to find other Phoebe Bridgers' songs that aren't on the LP. The rabbit hole is far deeper than I imagined. Bridgers, now 23, has been writing and performing for much of her life and in her own words began writing real songs at age 16. There are countless songs and videos of her performances online. Below is a list of the songs that have been recorded professionally, and can be purchased online. To start of course is Stranger in the Alps, Bridgers only full-length. Her voice has matured since earlier recordings and I find a radical difference and improvement than how she sings in the old songs and videos. She describes the process in the Gold Flake Paint interview: "...Tony [Berg] the producer would turn off all the lights to make me emote more, so I recorded most of the songs in complete darkness, as far as the vocals.” That process worked perfectly and her voice is strong yet simultaneously fragile, and vulnerability is communicated not just through the lyrics but her actual voice. Her first official release is the 2015 Killer 7", which can be purchased from Ryan Adam's label's webstore or as a digital EP from Amazon. It contains earlier versions of the songs "Georgia" and "Killer"(the newer, LP versions are far superior) but also an otherwise unreleased song, "Steamroller". The final song available on Bandcamp is her 2017 Christmas tune, "Have Yourself a Merry Little Christmas". The only other remaining song I own of Bridgers is a cover of the Emmylou Harris song "Prayer in Open D". It is available on the 2016 To Emmylou covers album. Here is a fun YouTube playlist someone put together that showcases some more rare and older Bridgers' tunes, covers, etc., including one as far back as 2011.